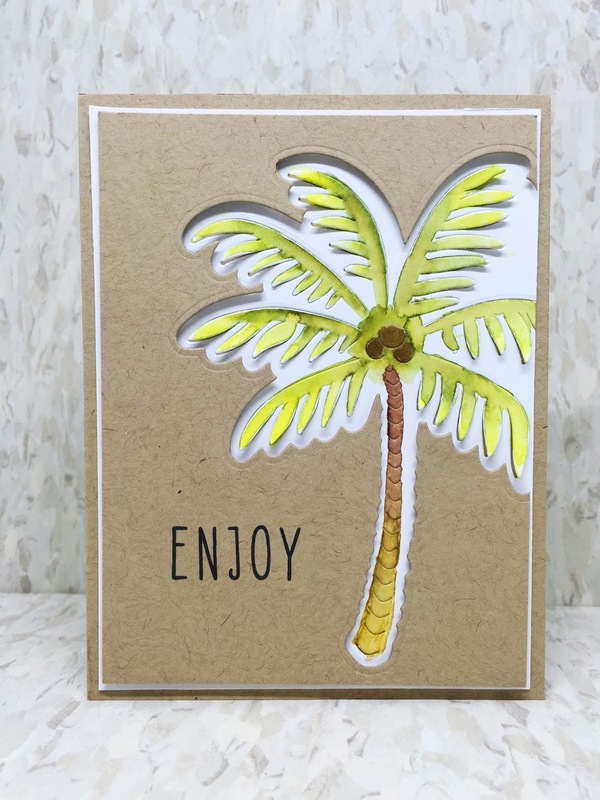 I thought I’d make a fun card with this new palm tree die from Hero Arts. I love this die. It comes in two pieces, one is the outline, and one is the tree itself. While I wouldn’t call this card masculine, to tie in with our challenge theme, I would call it neutral, which means it works for a man! This was an easy card to make. 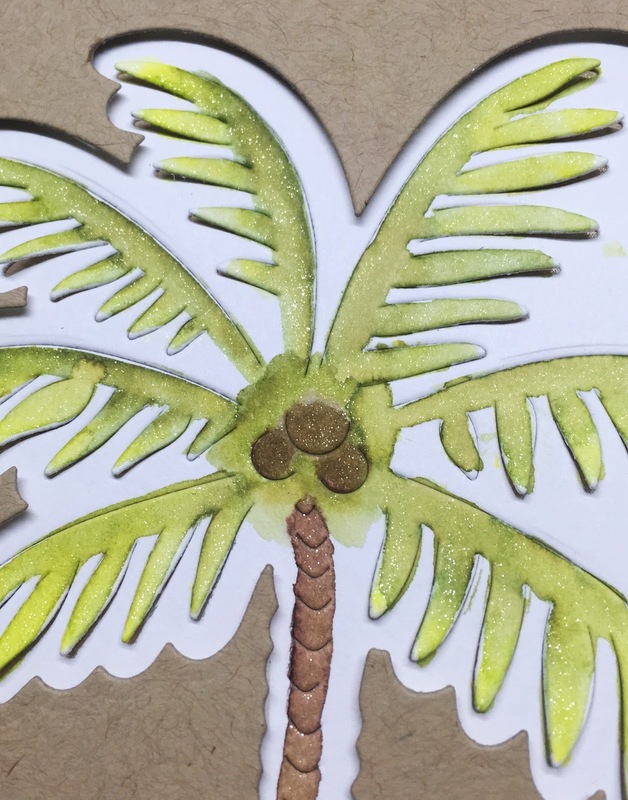 Just some easy coloring with Zig markers and die cutting. I fancied it up a wee bit with a Wink of Stella marker. Our challenge ends tomorrow night. I hope you’ll join us, great store credit from Hero Arts up for grabs! Love this card Lisa! Simple and great for a male card and many occassions. Thanks for sharing and inspiring.